It's that magical time of the year. Holiday lights. Hot chocolate. Interrupted publication schedules. 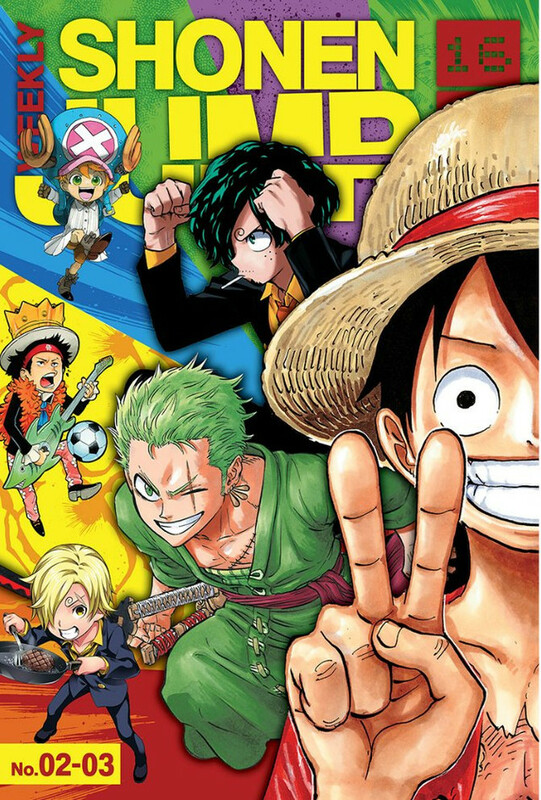 The Japanese Shonen Jump will be running Christmas and New Year's double issues between break weeks, but Viz's English edition will be filling in the spaces with bonus issues. 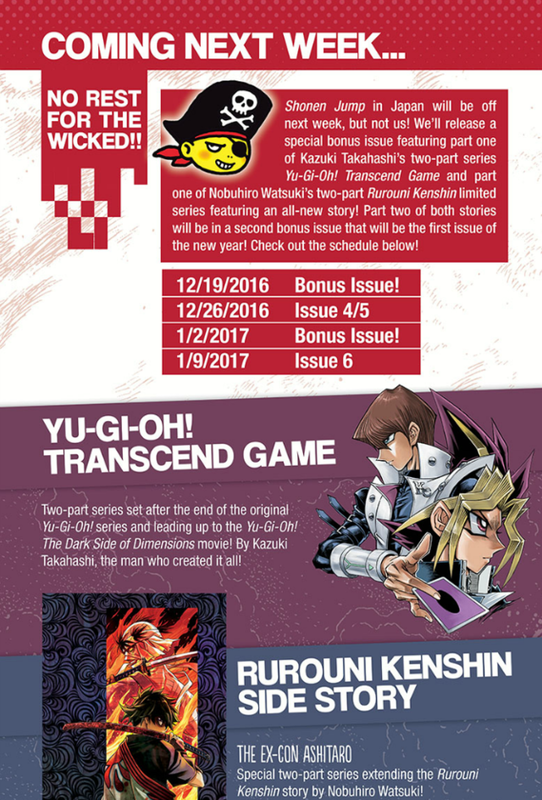 These will feature Yu-Gi-Oh! 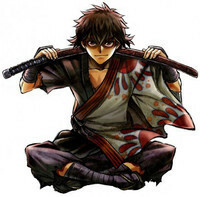 Transcend Game, the tie-in to the Dark Side of Dimensions anniversary anime movie, and the Rurouni Kenshin two-parter that leads into the newly announced Hokkaido Arc. 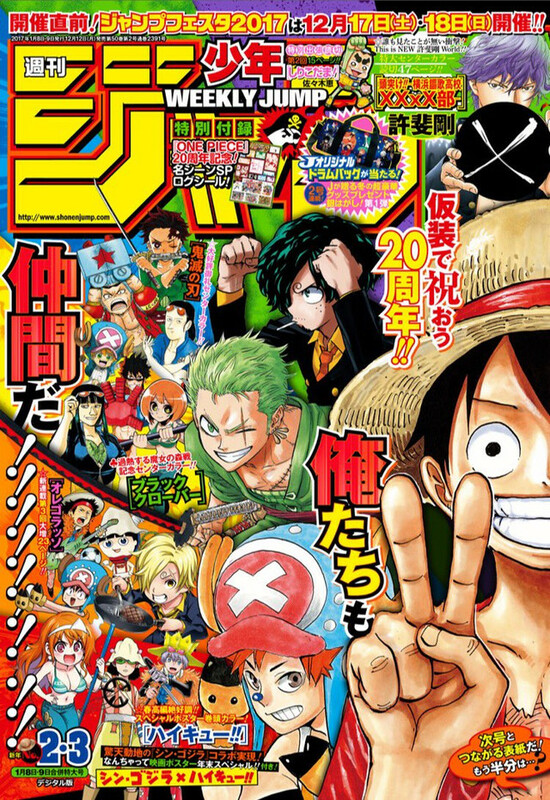 The cover of this week's issue launched One Piece's 20th anniversary year with characters from other series doing a bit of cosplay. The English version has a few less series to work with than the Japanese. Sentai Filmworks Licenses "Urara Meirocho"